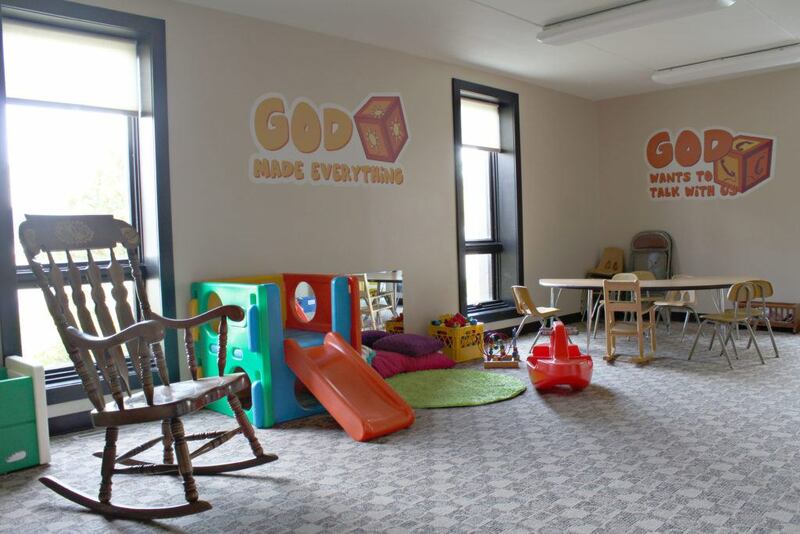 Childcare is available during Foundations, Corporate Worship, Wednesday evening activities, member meetings, and some Bible studies. 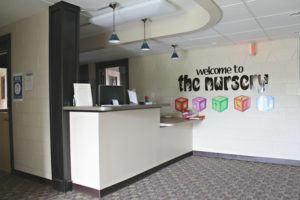 Our childcare serves children from newborns through Kindergarten. At a child’s first visit, the parents or guardian will complete a registration card for the child. This includes a number of identifying items, along with designating who may pick up the child and allergy information. After the initial enrollment, regular check-in is done upon arrival. Our check-in software generates two labels—one for the child, one for the parent/guardian. This allows staff to quickly match child to parent. Our Nursery/Preschool Coordinator is Stacy Felkins. Our childcare is staffed by carefully screened workers. In addition to a background check, each worker is required to be a member in good standing, an active college student, or a child serving with their parent. For the security of your child, access to our nursery area is limited to approved workers, nursing mothers, parents wishing to observe the nursery (limited to one observation appointment), and parents who need to briefly console a child. Other safety and security protocols are in place to assure the safety of our children. 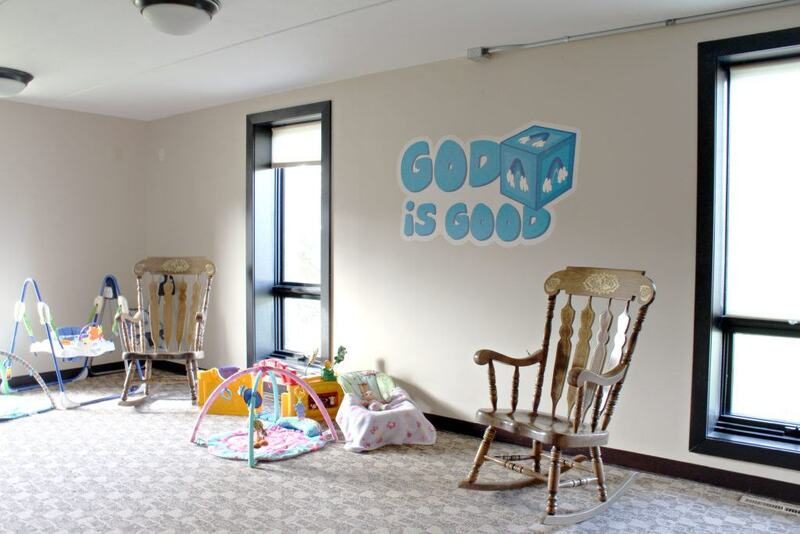 The babies are held, fed, rocked, changed, and attended to in the nursery area, which features a low-light area with white-noise and cribs for sleeping babies and rocking chairs for nursing mothers. Our 2-3 year-olds enjoy reading, snacks, and supervised play. 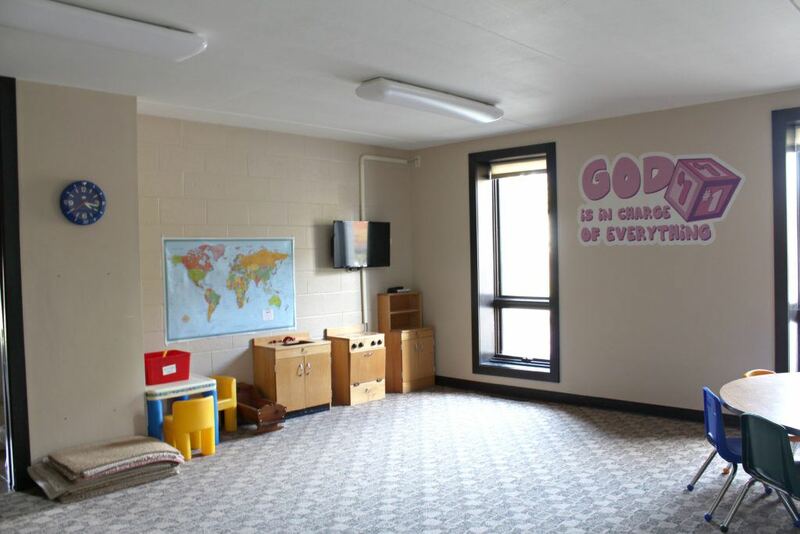 Our 4-5 year-olds have a structured lesson during Foundations and Worship.